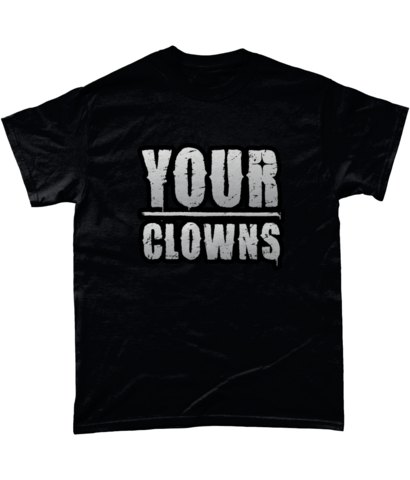 Your Clowns logo printed on black and white t-shirts. Shirts are sturdy heavyweight cotton. Classic fit.